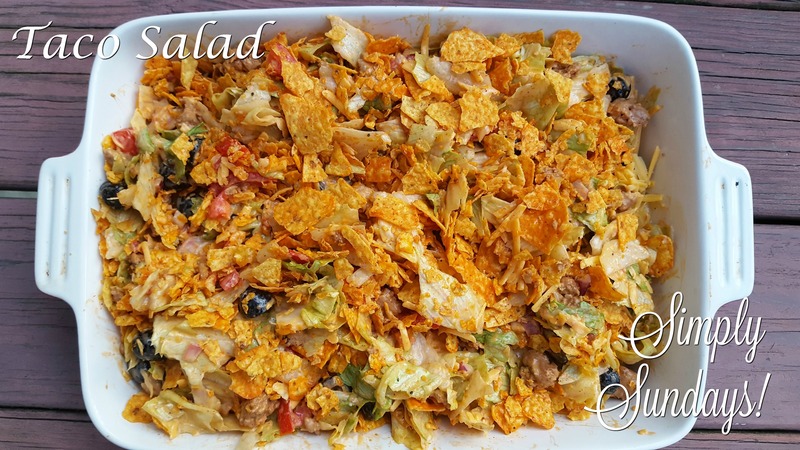 Taco Salad – Simply Sundays! Now here’s a salad to get excited about! Taco Salad with seasoned meat, crisp salad ingredients, sharp cheese and crunchy Doritos?? Bring this tasty side to your next get-together and you can be sure that you and your recipe will be invited back! You can use store bought or easily make it yourself!